DTCs which are stored in the ECM can be displayed on the Techstream. 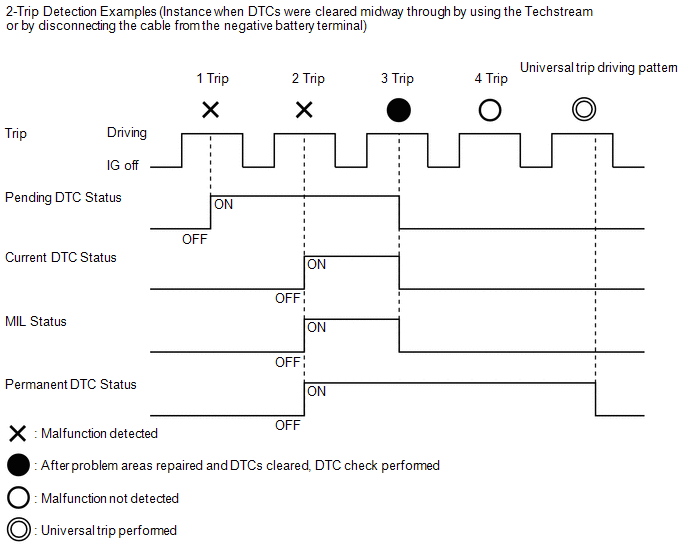 The Techstream can display current, pending and permanent DTCs. 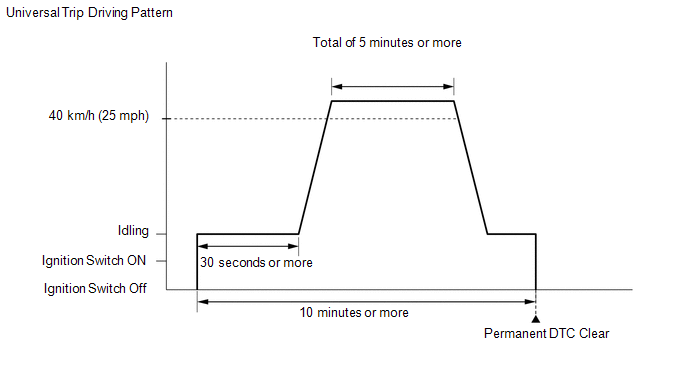 (1) Idle the engine for 30 seconds or more. (k) Enter the following menus: Powertrain / Engine and ECT / Trouble Codes. 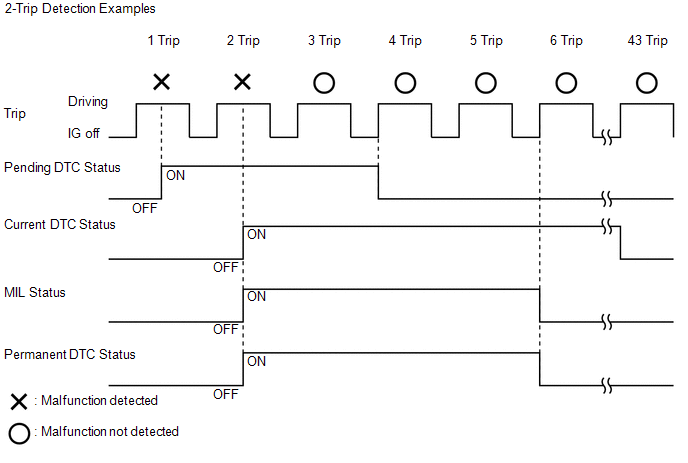 If permanent DTCs have not been cleared, perform the universal trip again. Permanent DTCs are cleared when the universal trip is completed.